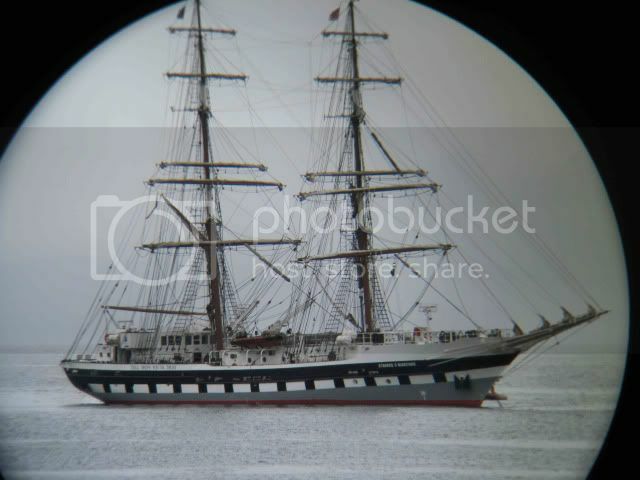 Its long past now but when we were in Campbeltown last week we saw the tall ship "Stavros S Niarchos" just off Davaar and tried a shot but it was too distant so i tried this:- binoculars with digital camera up to eye piece and what a surprise - crystal clear close up picture to behold. Any points for ingenuity ? With 10x binocular plus camera zoom. Nothing special but so surprised at outcome. Brilliant! .The RNLI catalogue has some combined binoculars with a built-in camera.Has anyone ever owned a pair? Nothing special ? 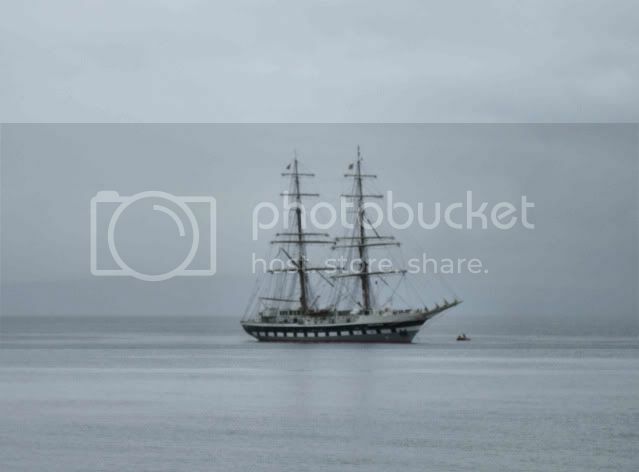 That's ever so nice, with the black framing it as well, it has a certain charm. I would never have thought of doing that but the next time I'm out and about I will have a go at taking a pic through binoculars. Full marks and a gold star for ingenuity. Steady hand would be a problem. You're not kidding ! I think a tripod is in order. Ive just got to say..... that photograph is ABSOLUTELY BEAUTIFUL!